SUBMISSIONS - JumpStart may accept you or your child's submission of text, messages, pictures, video, artwork, etc. All content or information submitted becomes JumpStart property and will not be returned. JumpStart may use those submissions use it any way, in its sole discretion, wherever, however, and whenever it chooses without notifying or paying you. The content uploaded must be your or your child's original work and not infringe on the copyright or trademark, rights of privacy or publicity to any person. You or your child's submission is free and clear of any claims or encumbrances. Anything submitted by you or your child may be available for use and viewing by the public. You give up any privacy expectations you may have regarding the content. You hold JumpStart and its officers harmless from and against - and hereby waive any right to pursue - claims of any nature arising in connection with JumpStart's use of the content or information submitted. Your decision to purchase a Membership or use Virtual Items or choose other goods or services is the purchase of a License. Begins on the date you first subscribe or redeemed (“Anniversary Date”) and will continue until you cancel. Memberships automatically renew on your Anniversary Date and automatically billed to the credit card you provided at time of purchase. Lifetime Memberships will be remain active for the online life of the person who purchased and/or player. Apparent breaches of security, such as loss, theft or unauthorized disclosure or use of an ID or password. Cancellation of Recurring Membership – you must notify Customer Service at 1-310-533-3402 (7 a.m. – 4 p.m. PST, Monday – Friday or by email to support@jumpstart.com. You must provide the email address under which you registered in order to cancel your subscription. JumpStart will immediately respond to notices of alleged Copyright infringement that comply with the Digital Millennium Copyright Act (“DMCA”). JumpStart reserves the right to terminate without notice any User’s access to the Services if that User is determined by JumpStart in its sole discretion to be a “repeat infringer”. Any notices should be sent to support@jumpstart.com in accordance with the DMCA. Use of any JumpStart Web Site or App is subject to the United States, as well as applicable international copyright law. The content of both the Web Sites and Apps are owned by JumpStart and cannot be used by any third party without JumpStart’s written permission. Usage of JumpStart Sites requires the installation of the Unity Web Player Plug-In on your computer system. If your system does not have it installed, the latest version will be automatically installed upon first usage of the Web Site. Your usage of any JumpStart Web Site indicates your acceptance of Unity’s End User License Agreement below. All rights in the content of JumpStart’s Web Sites and its Apps including any derivative works shall belong exclusively to JumpStart. No use of any characters, designs, text, photos, clip art, fonts, graphics, electronic greetings, templates, projects or other content contained in JumpStart’s Web Sites or Apps may be used without written permission of JumpStart. JumpStart owns, has licensed or otherwise has the rights to use all the content of the JumpStart Web Sites and Apps. Some services on the Web Sites and the Apps permit or require you to create an account to participate or to secure additional services. You must provide true and accurate information when registering. Subject to the terms outlined for Submissions, JumpStart owes you no obligation and may refuse to post, deliver, remove, modify or otherwise use or take any action with respect to submissions to public forums, blogs, comments of other Communications. In addition, you agree to comply with the posted Rules of Conduct contained below. JumpStart, in its sole discretion, will not publish any Submission that is defamatory, abusive, bullying, harassing, contains personal information, is threatening or an invasion of privacy or otherwise considered offensive. JumpStart reserves the right, in its sole discretion, to remove any post, Submission or communication. Third Party Advertisements may be featured on its Web Sites or in its Apps. JumpStart’s Web Sites or Apps may link to third party sites that may not have been reviewed by Jumpstart. JumpStart is not responsible for the content, business practices of privacy policies of for the collection, use or disclosure of any information those sites may collect. By using JumpStart’s Web Sites and, or Apps you agree to the Indemnification, Disclaimer and Limited Liability Terms of this Agreement. You are responsible for maintaining the confidentiality of your username(s), email addresses passwords and your accounts. You agree to periodically review this Agreement and be bound by any such future modifications. If any provision is found unlawful, void or for any reason unenforceable, then that provision will be considered removed. We do not collect personally identifiable information from children under the age of thirteen without parental consent. We only collect personal information on a voluntary basis when a visitor elects to register, purchase subscriptions, services or products online, post to a message board, reply to a survey, enter a contest or contact us. We use information to fulfill your product, subscription or service order, respond to your questions or to send information about new products, services, features, contests or promotions. We may enhance or merge your information with 3rd party data for internal marketing, profiling or demographic services to adapt our products and services to better suit our customers’ needs. We may share your information to third party vendors to fulfill product or subscription orders or prizes, to process mailings or to process, analyze and/or store data. We reserve the right to disclose your personal data as required by law or in special cases when we have reason to believe that disclosing such information is necessary. Your personal information will become part of our normal business records and, as such, we may also disclose your information to a third party if we decide to sell a line of business to that party or in the event of a merger, acquisition, reorganization, bankruptcy or other similar event. In some cases JumpStart may solicit submissions (“Solicited Submissions”) from you. Those submissions are those JumpStart expressly request or enable you to provide via any feature or activity on the Web Site or mobile application for JumpStart’s review or display and possibly specifically defined compensation or that you distribute on or through the Web Site for which you do not seek consideration such as Membership Services and in Public Forums. Any submissions not falling into this definition are considered “Unsolicited Submissions”. DO NOT SUBMIT OR DISTRIBUTE ANY UNSOLICITED SUBMISSIONS; NO IMPLIED CONTRACT. JumpStart likes to hear from you. However, in your communications with JumpStart, please keep in mind that JumpStart does not accept or consider any creative ideas or suggestions relating to products or marketing plans unless it has specifically requested them. Therefore, please do not send to JumpStart any creative or original materials such as ideas for software products, Web sites, toys, games, or other products, or any other creative suggestions, ideas, notes, drawings, concepts or other information. Any communication or material you transmit to or through the Web Site or App by electronic mail or otherwise, including any personal data, questions or answers, comments, suggestions, or the like is, and will be treated as, non-confidential and non-proprietary. Furthermore, JumpStart shall be free to use any ideas, concepts, know-how, or techniques contained in any communication you send to the Web Site or App for any purpose whatsoever, including but not limited to developing, manufacturing and marketing products using such information and shall not be liable to you or to any person claiming through you for any exploitation or disclosure of any submission. You hereby grant JumpStart and its licensees, distributors, agents, representatives and other authorized users, a non-exclusive, irrevocable, fully-paid, royalty-free, sub-licensable and transferable (in whole or part) worldwide license for an indeterminate period (or for such maximum period permitted by applicable law) under all copyrights, trademarks, patents, trade secrets, privacy and publicity rights and other intellectual property rights you own or control to use, reproduce, transmit, display, exhibit, distribute, index, comment on, modify (including removing lyrics and music from any Submission or substituting the lyrics and music in any Submission with music and lyrics selected by us), create derivative works based upon, perform and otherwise exploit such Submissions, in whole or in part, in all media formats and channels now known or hereafter devised (including on Web Site or App, on third party Web sites, products and services, on physical media) for any and all purposes including entertainment, news, advertising, promotional, marketing, publicity, trade or commercial purposes, all without further notice to you, with or without attribution, and without the requirement of any permission from or payment to you or to any other person or entity (the "Submissions License"). To the extent that any Submissions you distribute on or through the Web Site or Apps contain original songs or recordings, you hereby represent that you are a member of ASCAP, BMI, SESAC or other applicable mechanical, performing rights and/or copyright owners' society and that all musical compositions (including lyrics) and sound recordings contained in such Submissions are available for licensing to JumpStart (and its licensees, distributors, agents, representatives and other authorized users) directly from such societies. Notwithstanding the foregoing, regardless of whether you are a member of any performing rights society, you grant the Submissions License with respect to each and every musical composition (including lyrics) and sound recordings contained in such Submissions. To the extent that JumpStart may solicit Submissions through features or activities on or through the Web Sites or Apps (including games and Public Forums (defined below in the section, labeled "PUBLIC FORUMS AND COMMUNICATION") that require the use of JumpStart’s copyrighted works (in whole or in part), JumpStart hereby grant you a non-exclusive license to create a derivative work using JumpStart’s copyrighted works (in whole or in part) as required (but only as required, and only for the purpose of creating your Submissions); provided however, that such license shall be conditioned upon your assignment of all rights in the work you create to us. If such rights are not assigned to us, your license to create derivative works using JumpStart’s copyrighted works (in whole or in part) shall be null and void. You agree to the foregoing grant of rights, consents, agreements and assignments whether or not your Submissions are used by JumpStart. Should you choose to purchase a membership to any JumpStart site, a license to use Virtual Items and or other goods or services you are purchasing a license. Membership begins on the date it is purchased or redeemed (“Anniversary Date”) and will continue until cancelled. Your Membership is cancelled or we terminate your Membership. Lifetime Membership: Lifetime Membership, which will remain active for the online life of the person who purchased the subscription, or in the case of a gift purchase, for the online life of the person for whom the subscription was purchased. Terms of lifetime Membership are subject to additional conditions as outlined in this section. Lifetime Members are guaranteed at least two years (24 months) of access. If JumpStart terminates your account because of a violation of our terms of service, JumpStart will not refund any portion of your subscription price. JumpStart may introduce additional services from time to time, which may be excluded from an existing lifetime subscription without additional cost. If your lifetime subscription account has no activity for a period of 12 months we will consider that account dormant and will remove online access to the data. We will then keep the data for an additional 1-year, at which point we will delete your data. Activity is defined as a login to the service. You may cancel your lifetime subscription; however cancellation of a lifetime subscription will not result in a refund. We reserve the right to terminate your Membership without notice if you violate these terms or conditions, if a charge to your credit card or other payment method is declined, or if your subscription expires. Membership Are Non-Refundable: Membership, once purchased, are nonrefundable, regardless of use or lack of use by Member and absolutely no credits or refunds will be issued. Membership Are Non-Transferable: Membership may not be assigned or transferred to any other person or entity nor may you provide any other person or entity access to your subscription, either directly or indirectly. Allowing others to gain unauthorized access to this site is a breach of this Agreement and a violation of law. Cancellations:If you wish to cancel your subscription, please contact Customer Service, Monday through Friday, 7:00 am - 4:00 pm PST. 310.533.3402 or email us at support@jumpstart.com of your decision to opt out of Continuous Membership. Cancellation will not result in a refund. Apparent breaches of security, such as loss, theft, or unauthorized disclosure or use of an ID or password. As part of and to enhance your use and enjoyment of Web Site or App you may be able to obtain additional features that form part of the game experience (“Features”). These features may be used subject to these terms and conditions and on the basis of the License granted by these terms and conditions. Neither these terms and conditions nor your use of Web Site or App gives you any rights of ownership in any Features or any property (whether tangible or intangible). Features may include, but are not limited to virtual items such as clothes, avatar parts and enhancements, and extended attractions. Features also include a Virtual Currency, such as Coins or Gems, used in and as part of Web Sites and App (“Virtual Currency”). You may obtain or receive Features (including Virtual Currency) free of charge as part of and as a result of your participation in Web Site or App. Features (like Virtual Currency) may be exchanged for other Features in and as part of Web Site or Apps only. Virtual Currency and other Features have no cash or real world value. You may also purchase additional Features using your credit or debit card, PayPal account or as otherwise described in the payment section of Web Site or App. Some additional Features may only be obtained in this way. It is a condition and fundamental term of these terms and conditions and your use of Web Site and App that you may not and must not buy, sell, barter, swap, exchange, trade, lend, rent or otherwise deal in any way with any Feature (including Virtual Currency and Features) outside of Web Site or App or in any way other that as expressly provided above namely that certain Features may only be exchanged for certain other designated Features in and as part of Web Site or App only. It is a further condition and fundamental term of these terms and conditions and your use of Web Site and/or App that you may not and must not buy, sell, barter, swap, exchange, trade, lend, rent or otherwise deal in any way with other aspect of Web Site or App including your account, Password or username. When you buy a Feature you are buying a right to use that Feature within, in and as part of Web Site or App only, in accordance with these terms and conditions. 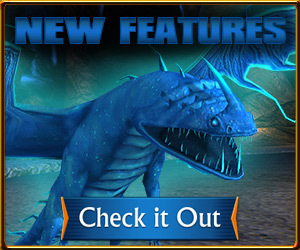 Features that may be purchased are advertised for sale on School of Dragons so that you may offer to purchase them for the price stated in the manner described below. When you submit a request to purchase Features you are offering to purchase them for the price stated (“Order”). Orders are subject to these terms and conditions and will be confirmed by e-mail. Orders are deemed accepted when we send the confirmation e-mail or the feature becomes available to use. We may cancel any sale and not supply Features if it is reasonable to do so and may change or discontinue the availability of Features at any time at our sole discretion. We may also vary how it makes Features at any time in its sole discretion. JumpStart cannot guarantee that a particular Feature will always be available or will always be available in the same manner. We will not be liable for any consequences of the availability or use (or misuse) of any Feature or its impact on your use of the Game. The purchase of a Feature (such as Features) is a service that commences when you or JumpStart commence the download of the Feature to your computer or portable device or it is available for use, following which you shall not be entitled to cancel your Order. If you cannot use a Feature due to an error or fault, please contact Customer Service as specified below and we will make every effort to provide you with a replacement version to download and if we are unable to do so you may be entitled to a refund. If a Feature is faulty or defective please contact Customer Support as specified below and we will as soon as reasonably possible, provide you with a replacement or provide a refund or credit to your applicable account and remove that Features from your use of School of Dragons. Charges will appear on your monthly credit card, bank, phone, PayPal or other account statements. You will not be charged for any Orders that cannot be fulfilled and where appropriate JumpStart will refund to your account any sum debited by JumpStart. PLEASE DO NOT SEND CASH. JUMPSTART MAY NOT ACCEPT CASH (BUT RESERVES THE RIGHT TO DO SO). JUMPSTART CAN NOT AND WILL NOT BE RESPONSIBLE FOR CASH, POSTAL ORDER, MONEY ORDER OR CHEQUE LOST IN THE POST OR SENT TO BUT NOT RECEIVED BY JUMPSTART. Your statutory rights are unaffected by these terms and conditions. If you reside in the European Union and you purchase a license, you may have the right to withdraw from a purchase within seven calendar days, commencing on the day after the date of purchase (the "Cooling Off Period"). However, you lose your right of withdrawal if the performance of the services begins before the end of the Cooling Off Period therefore your right of withdrawal is lost as the performance of our services begins promptly once your purchase is completed. MEMBERSHIPS AND PURCHASES TO ACQUIRE A LICENSE TO USE VIRTUAL ITEMS ARE NON-REFUNDABLE. Once a charge has been processed to your credit card, you shall not request your credit card to reverse the charge or charge it back. If you have a legitimate basis to request a credit for a charge previously processed against your credit card account, you must request a credit from Customer Service by written notice to JumpStart., 2377 Crenshaw Blvd., Ste. 302, Torrance, CA 90501 and resolve the issue directly with JumpStart. Any reversed charges which cause the credit card company to impose a charge back, refund, or credit cost against JumpStart shall be re-imposed by JumpStart against you. Such costs may exceed the cost of the reversed item or charge back by many times. BY USING THIS SITE YOU ACKNOWLEDGE THAT JUMPSTART IS NOT REQUIRED TO PROVIDE A REFUND FOR ANY REASON, AND THAT YOU WILL NOT RECEIVE MONEY OR OTHER COMPENSATION FOR UNUSED MEMBERSHIPS OR VIRTUAL ITEMS WHEN AN ACCOUNT IS CLOSED, WHETHER SUCH CLOSURE WAS VOLUNTARY OR INVOLUNTARY. It is JumpStart’s policy to respond to notices of alleged copyright infringement that comply with the Digital Millennium Copyright Act (“DMCA”). JumpStart reserves the right to terminate without notice any User's access to the Service if that User is determined by JumpStart, in its sole discretion, to be a "repeat infringer." In addition, JumpStart accommodates and does not interfere with standard technical measures used by copyright owners to protect their materials. JumpStart maintains this Web Site or App for your personal entertainment, information, education, and communication. Please feel free to browse the Web Site. The Web Site or App and JumpStart Products are subject to United States, as well as applicable international copyright law. The Web Site or App and JumpStart Products are owned by JumpStart, Inc. and its licensors. Without JumpStart's prior written permission, or as specifically provided herein, you may not reproduce, distribute, modify, display, prepare derivative works based on, repost or otherwise use the content of this Web Site or App, except that you may download one copy of the material in temporal storage on one computer for your personal, non-commercial home viewing only, provided you do not delete or change any copyright, trademark, or other proprietary notices. Any unauthorized use of the images may violate copyright laws, trademark laws, the laws of privacy and publicity, and communications regulations and statutes. Except as expressly provided above, nothing contained herein shall be construed as conferring any license or right under any copyright or other intellectual property right. Any other copying, redistribution, publication, or retransmission of any portion of Web Site or App material or the JumpStart Products is strictly prohibited without the express written permission of JumpStart. You may not modify, decompile, disassemble, decrypt, extract or otherwise reverse engineer the Products, or create derivative works based upon all or part of the Product. No right, title, or interest to any trademarks or trade names of JumpStart or its licensors is granted to you. If you are an owner of intellectual property who believes their intellectual property has been improperly posted or distributed via this Web Site or App, please notify JumpStart immediately at the following address: JumpStart, 2377 Crenshaw Blvd., Ste. 302, Torrance, California 90501, Attention: Legal Department. Usage of this site requires the installation of the Unity Web Player Plug-In on your computer system. If your system does not currently have the Unity Web Player installed, the latest version of the Unity Web Player will be automatically installed upon your first usage of our online games. Usage of our online games indicates your acceptance of Unity’s End User License Agreement below. JumpStart may make certain content available on the Web Site or App, including but not limited to, characters, designs, text, photos, clip art, fonts, graphics, electronic greetings, sounds, video, templates and projects (the "Properties") are either owned by or used under license by JumpStart and are protected under trademark, copyright, and other applicable laws. Any and all unauthorized use of the Properties is strictly prohibited. You may not sell any Property or any item containing or carrying a copy of any Property. Subject to the restrictions described below, you may make copies of the Properties for use in home entertainment and projects, for educational purposes, in advertisements, public or private presentations, business communications, multimedia presentations, and other similar uses. All rights in derivative works created by the use of a Property shall vest exclusively in JumpStart or its licensors. The following notice must accompany each authorized use of a Property: "© [YEAR] Knowledge Adventure Inc., and its licensors. All rights reserved." No other use of any characters, designs, text, photos, clip art, fonts, graphics, electronic greetings, templates and projects contained on any other JumpStart Web Site or App is permitted. The Services provided, including without limitation any games, titles, computer code, themes, characters, character names, stories, dialogue, phrases, animations, objects, songs, videos, artwork, musical compositions, effects, method of operation, documentation, in-game chat transcripts, character profile information, server software, etc. are copyrighted works owned by Knowledge Adventure, Inc. JumpStart reserves all rights, including without limitation, all intellectual property rights or other proprietary rights associated with the Services. JumpStart owns, has licensed or otherwise has the rights to use all of the content that appears on its websites. Notwithstanding anything to the contrary, you agree that you have no right or title in or to any content that appears on JumpStart’s websites, including without limitation the Virtual Items appearing or originating on any JumpStart website or in any JumpStart game, whether “earned” in a game or “purchased” by license from JumpStart. JumpStart neither permits nor recognizes any “transfers” of Virtual Items either within or outside of the JumpStart websites. You may not sublicense, trade, sell any JumpStart Virtual Items for “real” money or exchange Virtual Items for value of any kind. Any such transfer or attempted transfer is prohibited and void and will subject your membership to termination. The Properties are embedded at no higher than a base resolution of 512x768. Some services offered via the Web Sites or Apps permit or require you to create an account to participate or to secure additional benefits. You agree to provide, maintain and update true, accurate, current and complete information about yourself as prompted by the Web Site or App registration processes (the "Registration Data"). You shall not impersonate any person or entity or misrepresent your identity or affiliation with any person or entity, including using another person's username, password or other account information, or another person's name, likeness, voice, image or photograph or any of the information required to register an account. You also agree to promptly notify at JumpStart Customer Service by calling +1-310-533-3400 or http://www.jumpstart.com/support_question_email.aspx of any unauthorized use of your username, password, other account information, or any other breach of security that you become aware of involving or relating to the Web Site or App. In addition, you agree to exit from your account at the end of each session. "Public Forum" means an area, site or feature offered as part of the Web Site or App that offers the opportunity for users to distribute Submissions for viewing by one or more Web Site or App users, including a chat area, message board or social community environment. You acknowledge that Public Forums and features offered therein are for public and not private communications, and you have no expectation of privacy with regard to any Submission to a Public Forum. JumpStart cannot guarantee the security of any information you disclose through any of these media; you make such disclosures at your own risk. You are and shall remain solely responsible for the Submissions you distribute on or through the Web Site or App under your username or otherwise by you in any Public Forum and for the consequences of submitting and posting same. JumpStart has no duty to monitor any Public Forum. You also acknowledge that the use of any Submission posted in any Public Forum is at your own risk. JumpStart is not responsible for, and does not endorse, the opinions, advice or recommendations posted or sent by users in any Public Forum and specifically disclaims any and all liability in connection therewith. Furthermore, JumpStart owes you no obligation, and therefore may refuse, to post, deliver, remove, modify or otherwise use or take any action with respect to Submissions you distribute. JumpStart further reserves the right to screen, refuse to post, remove or edit Submissions at any time and for any or no reason including, without limitation, if your Submission fails to conform to the Rules of Conduct, in its absolute and sole discretion without prior notice, although JumpStart have no duty to do so or to monitor any Public Forum. If JumpStart elects to screen Submissions, there may be a delay in the posting of such content in a Public Forum to allow for a review process. If JumpStart has questions about your Submissions including, without limitation, the copyright, JumpStart may contact you for further information including, for example, verification that you own the copyright or otherwise obtained permission to post the material. does not generally pertain to the designated topic or theme of the relevant Public Forum; (b) violates any specific restrictions applicable to a Public Forum; or (c) is antisocial, disruptive, or destructive, including “bullying”, "flaming," "spamming," "flooding," "trolling," and "griefing" as those terms are commonly understood and used on the Internet. You understand that the Service and JumpStart games may feature advertisements from JumpStart or other relevant third parties. JumpStart has not reviewed all of the web sites linked to this Web Site or App and is not responsible for the content, business practices or privacy policies or for the collection, use or disclosure of any information those sites may collect. JumpStart makes no representation or warranty regarding any content, goods and/or services provided by any third party even if linked to from our Sites. Those sites are not under the control of JumpStart and may collect data or solicit personal information from you. The inclusion of any link to such sites does not imply endorsement by JumpStart of the sites. Your linking to any other off-site pages or other sites is at your own risk. This Web Site or App, including materials accessed from or through it, including the JumpStart Products may include technical inaccuracies or other errors. Your use and browsing of the Web Site or App and the JumpStart Products are at your risk. Neither JumpStart nor any other party involved in creating, producing, or delivering the Web Site or App or the JumpStart Products shall be liable for any direct, incidental, consequential, indirect, or punitive damages arising out of your access to, or use of, the Web Site or App or JumpStart Products. JumpStart does not warrant that the functional aspects of the Web Site or App or JumpStart Products will be uninterrupted or error free or that this Web Site or App or the server that makes it available are free of viruses or other harmful components. JumpStart neither warrants nor represents that your use of materials displayed on the Web Site or App or the JumpStart Products will not infringe rights of third parties not owned by or affiliated with JumpStart. You also understand that JumpStart cannot and does not guarantee or warrant that the JumpStart Products or the Web Site or App, files or software of any kind, or from any source, available for downloading through the Web Site or App, will be free of infection or viruses, worms, Trojan Horses or other code or defects that manifest contaminating or destructive properties. You are responsible for implementing sufficient procedures and checkpoints to satisfy your particular requirements for accuracy of data input and output, and for maintaining a means external to the Web Site or App for the reconstruction of lost data. You understand that, except for information, products, or services clearly identified as being supplied by JumpStart, JumpStart does not operate, control or endorse any information, products, or services on the Web Site or App in any way. Except for JumpStart identified information, products or services, any other information products and services offered on the Web Site or App are offered by third parties that are not affiliated with JumpStart. JumpStart may allow you to link from the Web Site or App to third party sites from which you may purchase goods or and services. Any transaction you enter with such a third party shall be between you and that third party; JumpStart shall have no liability for any transaction you enter with a third party accessed through the Web Site or App. JumpStart makes no representations or warranties regarding the creation or content you post or the delivery of Electronic Greeting Card notification emails sent via the Web Site or App, including the accuracy of sender identity or recipient notification. Without limiting the foregoing, everything on the Web Site or App and the JumpStart Products are provided to you "AS IS" WITHOUT WARRANTY OF ANY KIND, EITHER EXPRESSED OR IMPLIED, INCLUDING, BUT NOT LIMITED TO, THE IMPLIED WARRANTIES OF MERCHANTABILITY, FITNESS FOR A PARTICULAR PURPOSE, OR NON-INFRINGEMENT. Please note that some jurisdictions may not allow the exclusion of implied warranties, so some of the above exclusions may not apply to you. JumpStart reserves the right to make changes to this Web Site or App or the JumpStart Products at any time without notice. JumpStart may cancel, change, modify, discontinue, terminate, or charge a fee at any time for any reason for the online services or products available in conjunction with this Web Site or App or the JumpStart Products without notice at JumpStart's sole discretion. IN NO EVENT WILL JumpStart OR ITS SUPPLIERS OR LICENSORS BE LIABLE FOR ANY INDIRECT, SPECIAL, INCIDENTAL, ECONOMIC, COVER, CONSEQUENTIAL, EXEMPLARY OR PUNITIVE DAMAGES ARISING OUT OF THE USE OF OR INABILITY TO USE THE WEB SITE OR JumpStart PRODUCTS, INCLUDING, WITHOUT LIMITATION, DAMAGES OR RELATING TO THE LOSS OF PROFITS, BUSINESS, GOODWILL, DATA, TIME OR COMPUTER PROGRAMS, EVEN IF ADVISED OF THE POSSIBILITY OF SUCH DAMAGES UNDERT ANY THEORY OF LIABILITY. IN NO EVENT WILL JumpStart'S AND ITS SUPPLIERS' AND LICENSORS' LIABILITY EXCEED THE AMOUNT PAID BY YOU FOR THE USE OF THE WEB SITE REGARDLESS OF THE FORM OF THE CLAIM (INCLUDING, WITHOUT LIMITATION, ANY CONTRACT, PRODUCT LIABILITY, OR TORT CLAIM). BECAUSE SOME JURISDICTIONS DO NOT ALLOW THE EXCLUSION OR LIMITATION OF LIABILITY FOR CONSEQUENTIAL OR INCIDENTAL DAMAGES, THE ABOVE LIMITATION MAY NOT APPLY TO YOU. AMENDMENTS ARE PERIODICALLY MADE TO THE INFORMATION CONTAINED HEREIN AND THE PRODUCTS; THESE AMENDMENTS WILL BE INCORPORATED INTO THE WEB SITE AND/OR THE PRODUCTS AND JumpStart MAY MAKE IMPROVEMENTS AND/OR SAID AMENDMENTS TO THE WEB SITE AND THE PRODUCTS AT ANY TIME. ANY AND ALL PORTIONS OF THIS DISCLAIMER SHALL AUTOMATICALLY APPLY TO ALL IMPROVEMENTS AND/OR AMENDMENTS AS THEY APPEAR ON THE WEB SITE AND/OR THE PRODUCTS. JumpStart DOES NOT WARRANT THAT THE WEB SITE AND ACCESS TO THE PRODUCTS WILL BE UNINTERRUPTED OR ERROR FREE OR THAT DEFECTS IN THE WEB SITE OR THE PRODUCTS WILL BE CORRECTED. If you are dissatisfied with the Web Site or App or the JumpStart Products or with any terms, conditions, rules, policies, guidelines or practices of using the Products or of JumpStart in operating the Web Site or App, your sole remedy is to discontinue using the Web Site or App and the Products. Any cause of action you may have with respect to this Web Site or App must be commenced within one year after the claim, cause of action arises, or such claim or cause of action is barred. These terms will be governed by and construed in accordance with the laws of the State of California, United States of America without regard to its conflicts of law provisions. Any legal action arising from your use of this Web Site or App shall take place in a court located in Los Angeles County, California. By your use of this Web Site or App you consent to the personal jurisdiction of such courts. This End User License Agreement ("EULA") is a legal agreement between you and Knowledge Adventure, Inc., doing business as JumpStart ("JumpStart") with regard to any application downloaded, installed or using on your mobile device (herein referred to as "Application"). By installing or using the Application you agree to be bound by the terms of this EULA. JumpStart grants you the non-exclusive, non-transferable, limited right and license to install and use this Application solely and exclusively for your personal use. You may not use the Application in any manner that could damage, disable, overburden, or impair the Application (or servers or networks connected to the Application), nor may you use the Application in any manner that could interfere with any other party's use and enjoyment of the Application (or servers or networks connected to the Application). You may not modify, translate, rent, copy, transfer or assign all or part of the Application or any rights hereunder, to any other persons and removing any proprietary notices or marks from the Application is strictly prohibited. You may not create any derivative works based on the Application. You agree that you are solely responsible for (and that JumpStart has no responsibility to you or to any third party for) your use of the Application, any breach of your obligations under the Terms and Conditions, and for the consequences (including any loss or damage which JumpStart may suffer) of any such breach. Proprietary Rights. The Application is licensed, not sold. You acknowledge that (a) the Application contains proprietary and confidential information that is protected by applicable intellectual property and other laws, and (b) JumpStart and/or third parties own all right, title and interest in and to the Application and content, excluding content provided by you, that may be presented or accessed through the Application, including without limitation all Intellectual Property Rights therein and thereto. "Intellectual Property Rights" means any and all rights existing from time to time under patent law, copyright law, trade secret law, trademark law, unfair competition law, and any and all other proprietary rights, and any and all applications, renewals, extensions and restorations thereof, now or hereafter in force and effect worldwide. You agree that you will not, and will not allow any third party to, (i) copy, sell, license, distribute, transfer, modify, adapt, translate, prepare derivative works from, decompile, reverse engineer, disassemble or otherwise attempt to derive source code from the Application or content that may be presented or accessed through the Application for any purpose, unless otherwise permitted, (ii) take any action to circumvent or defeat the security or content usage rules provided, deployed or enforced by any functionality (including without limitation digital rights management functionality) contained in the Application, (iii) use the Application to access, copy, transfer, transcode or retransmit content in violation of any law or third party rights, or (iv) remove, obscure, or alter JumpStart's or any third party's copyright notices, trademarks, or other proprietary rights notices affixed to or contained within or accessed in conjunction with or through the Application. Disclaimer of Warranty. The Application is provided "AS IS" without warranty of any kind. JumpStart disclaims and makes no express or implied warranties and specifically disclaim the warranties of merchantability, fitness for a particular purpose and non-infringement of third-party rights. The entire risk as to the quality and performance of the Application is with you. JumpStart does not warrant that the functions contained in the Application will meet your requirements or that the operation of the Application will be error-free. Updates and Upgrades. Any updates and upgrades of the Application from a previously released version are governed by the terms and conditions of this EULA. No Liability for Consequential Damages. In no event shall Company be liable for any damages whatsoever (including, without limitation, incidental, direct, indirect special and consequential damages, damages for loss of business profits, business interruption, loss of business information, or other pecuniary loss) arising out of the use or inability to use the Application. Because some states/countries do not allow the exclusion or limitation of liability for consequential or incidental damages, the above limitation may not apply to you. Indemnification by You. you agree, to the maximum extent permitted by law, to defend, indemnify and hold harmless JumpStart, its affiliates and their respective directors, officers, employees and agents from and against any and all claims, actions, suits or proceedings, as well as any and all losses, liabilities, damages, costs and expenses (including reasonable attorneys’ fees) arising out of or accruing from your use of the Application, including your downloading, installation, or use of the Application, or your violation of these Terms and Conditions. YOU EXPRESSLY UNDERSTAND AND AGREE THAT YOUR USE OF THE APPLICATION IS AT YOUR SOLE DISCRETION AND RISK AND THAT THE APPLICATION IS PROVIDED AS IS AND AS AVAILABLE WITHOUT WARRANTY OF ANY KIND.? YOU ARE SOLELY RESPONSIBLE FOR ANY DAMAGE TO YOUR MOBILE DEVICE, OR OTHER DEVICE, OR LOSS OF DATA THAT RESULTS FROM SUCH USE. THE COMPANY FURTHER EXPRESSLY DISCLAIMS ALL WARRANTIES AND CONDITIONS OF ANY KIND, WHETHER EXPRESS OR IMPLIED, INCLUDING, BUT NOT LIMITED TO THE IMPLIED WARRANTIES AND CONDITIONS OF MERCHANTABILITY, FITNESS FOR A PARTICULAR PURPOSE AND NON-INFRINGEMENT, WITH RESPECT TO THE APPLICATION. YOU EXPRESSLY UNDERSTAND AND AGREE THAT THE COMPANY, ITS SUBSIDIARIES AND AFFILIATES, AND ITS LICENSORS ARE NOT LIABLE TO YOU UNDER ANY THEORY OF LIABILITY FOR ANY DIRECT, INDIRECT, INCIDENTAL, SPECIAL CONSEQUENTIAL OR EXEMPLARY DAMAGES THAT MAY BE INCURRED BY YOU THROUGH YOUR USE OF THE APPLICATION, INCLUDING ANY LOSS OF DATA OR DAMAGE TO YOUR MOBILE DEVICE, WHETHER OR NOT THE COMPANY OR ITS REPRESENTATIVES HAVE BEEN ADVISED OF OR SHOULD HAVE BEEN AWARE OF THE POSSIBILITY OF ANY SUCH LOSSES ARISING. The failure of JumpStart to exercise or enforce any right or provision of these Terms and Conditions does not constitute a waiver of such right or provision, which will still be available to JumpStart. If any court of law, having the jurisdiction to decide on this matter, rules that any provision of these Terms and Conditions is invalid, then that provision will be removed from the Terms and Conditions without affecting the rest of the Terms and Conditions. The remaining provisions of these Terms and Conditions will continue to be valid and enforceable. The rights granted in these Terms and Conditions may not be assigned or transferred by either you or JumpStart without the prior written approval of the other party. Neither you nor JumpStart are permitted to delegate their responsibilities or obligations under these Terms and Conditions without the prior written approval of the other party. These Terms and Conditions and your relationship with JumpStart under these Terms and Conditions will be governed by the laws of the State of California without regard to its conflict of laws provisions. You and JumpStart agree to submit to the exclusive jurisdiction of the courts located within the county of Santa Clara, California to resolve any legal matter arising from these Terms and Conditions. Notwithstanding this, you agree that JumpStart will still be allowed to apply for injunctive remedies (or an equivalent type of urgent legal relief) in any jurisdiction. PLEASE READ CAREFULLY: BY INSTALLING THE SOFTWARE (AS DEFINED BELOW), YOU (EITHER ON BEHALF OF YOURSELF AS AN INDIVIDUAL OR ON BEHALF OF AN ENTITY AS ITS AUTHORIZED REPRESENTATIVE) AGREE TO ALL OF THE TERMS OF THIS END USER LICENSE AGREEMENT REGARDING THE USE OF THE SOFTWARE. You may install this Software on your computer to experience Unity web content. You acknowledge that no title to the intellectual property in the Software is transferred to you. Title, ownership, rights, and intellectual property rights in and to the Software shall remain that of Unity Technologies. The Software is protected by copyright laws of the United States and international treaties. You acknowledge that only Unity Technologies ApS and its designated distribution partners may distribute the Unity Web Player, without a special permission. In case Unity Technologies ApS and its designated distribution partners permanently cease to distribute the Unity Web Player, versions of the Unity Web Player that have previously been distributed by Unity Technologies ApS become freely redistributable. 5) DISCLAIMER OF WARRANTY:YOU AGREE THAT UNITY TECHNOLOGIES APS HAS MADE NO EXPRESS WARRANTIES, ORAL OR WRITTEN, TO YOU REGARDING THE PRODUCTS AND THAT THE PRODUCTS ARE BEING PROVIDED TO YOU 'AS IS' WITHOUT WARRANTY OF ANY KIND. UNITY TECHNOLOGIES APS DISCLAIMS ANY AND ALL OTHER WARRANTIES, WHETHER EXPRESSED, IMPLIED, OR STATUTORY. YOUR RIGHTS MAY VARY DEPENDING ON THE STATE IN WHICH YOU LIVE. UNITY TECHNOLOGIES APS SHALL NOT BE LIABLE FOR INDIRECT, INCIDENTAL, SPECIAL, COVER, RELIANCE, OR CONSEQUENTIAL DAMAGES RESULTING FROM THE USE OF THIS PRODUCT. 6) LIMITATION OF LIABILITY:YOU USE THIS PROGRAM SOLELY AT YOUR OWN RISK. IN NO EVENT SHALL UNITY TECHNOLOGIES APS BE LIABLE TO YOU FOR ANY DAMAGES, INCLUDING BUT NOT LIMITED TO ANY LOSS, OR OTHER INCIDENTAL, INDIRECT OR CONSEQUENTIAL DAMAGES OF ANY KIND ARISING OUT OF THE USE OF THE SOFTWARE, EVEN IF UNITY TECHNOLOGIES APS HAS BEEN ADVISED OF THE POSSIBILITY OF SUCH DAMAGES. IN NO EVENT WILL UNITY TECHNOLOGIES APS BE LIABLE FOR ANY CLAIM, WHETHER IN CONTRACT, TORT, OR ANY OTHER THEORY OF LIABILITY, EXCEED THE COST OF THE SOFTWARE. THIS LIMITATION SHALL APPLY TO CLAIMS OF PERSONAL INJURY TO THE EXTENT PERMITTED BY LAW. This Agreement shall terminate automatically if you fail to comply with the limitations described in this Agreement. No notice shall be required to effectuate such termination. Upon termination, you must remove and destroy all copies of the Software. Severability: In the event of invalidity of any provision of this Agreement, the parties agree that such invalidity shall not affect the validity of the remaining portions of this Agreement. Export: You agree that you will not export or re-export the Software outside of the jurisdiction in which you obtained it without the appropriate United States or foreign government licenses. Governing Law: This Agreement will be governed by the laws of the State of Denmark as they are applied to agreements between Denmark residents entered into and to be performed entirely within Denmark. The United Nations Convention on Contracts for the International Sale of Goods is specifically disclaimed. Entire Agreement: You agree that this is the entire agreement between you and Unity Technologies ApS, which supersedes any prior agreement, whether written or oral, and all other communications between Unity Technologies ApS and you relating to the subject matter of this Agreement. Reservation of rights: All rights not expressly granted in this Agreement are reserved by Unity Technologies ApS. Derivative work: Whether you are licensing the Software as an individual or on behalf of an entity, you may not: (a) reverse engineer, decompile, or disassemble the Software or attempt to discover the source code; (b) modify, or create derivative works based upon, the Software in whole or in part without the express written consent of Unity Technologies ApS; (c) distribute copies of the Software; (d) remove any proprietary notices or labels on the Software; (e) resell, lease, rent, transfer, sublicense, or otherwise transfer rights to the Software. The Mono Class Library, Copyright © 2005 - 2008 Novell, Inc. The Mono Runtime Libraries, Copyright © 2005 - 2008 Novell, Inc. Neither the name of Rodrigo B. de Oliveira nor the names of its contributors may be used to endorse or promote products derived from this software without specific prior written permission. PhysX physics library. Copyright © 2003-2008 by Ageia Technologies, Inc. All rights reserved. Copyright (c) 1998-2007 Glenn Randers-Pehrson. Version 0.96 Copyright (c) 1996, 1997 Andreas Dilger. Version 0.88 Copyright (c) 1995, 1996 Guy Eric Schalnat, Group 42, Inc. The PNG Reference Library is supplied "AS IS". The Contributing Authors and Group 42, Inc. disclaim all warranties, expressed or implied, including, without limitation, the warranties of merchantability and of fitness for any purpose. The Contributing Authors and Group 42, Inc. assume no liability for direct, indirect, incidental, special, exemplary, or consequential damages, which may result from the use of the PNG Reference Library, even if advised of the possibility of such damage. jpeglib JPEG library. Copyright (C) 1991-1998, Thomas G. Lane. Twilight Prophecy SDK, a multi-platform development system for virtual reality and multimedia. Copyright © 1997 - 2003 Twilight 3D Finland Oy Ltd.
dynamic_bitset, Copyright © Chuck Allison and Jeremy Siek 2001 - 2002. Permission to copy, use, modify, sell and distribute this software is granted provided this copyright notice appears in all copies. This software is provided "as is" without express or implied warranty, and with no claim as to its suitability for any purpose. There are currently 31 users and 120 guests online.